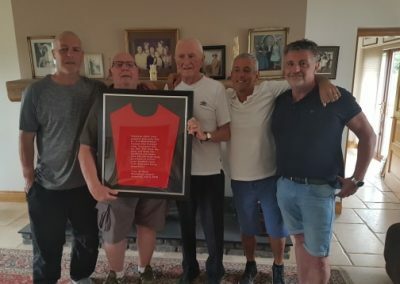 On 30th June 2018, representatives from the Manchester Munich Memorial Foundation travelled to Coleraine in Northern Ireland to see Harry Gregg. 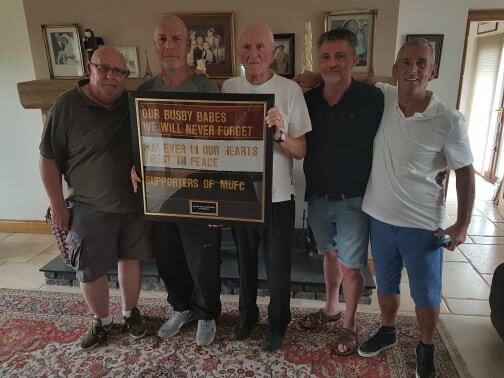 Harry was presented with a beautifully framed set of the ribbons, taken from the fans wreath, which we had laid in Trudering, Munich on the 60th anniversary back in February 2018. 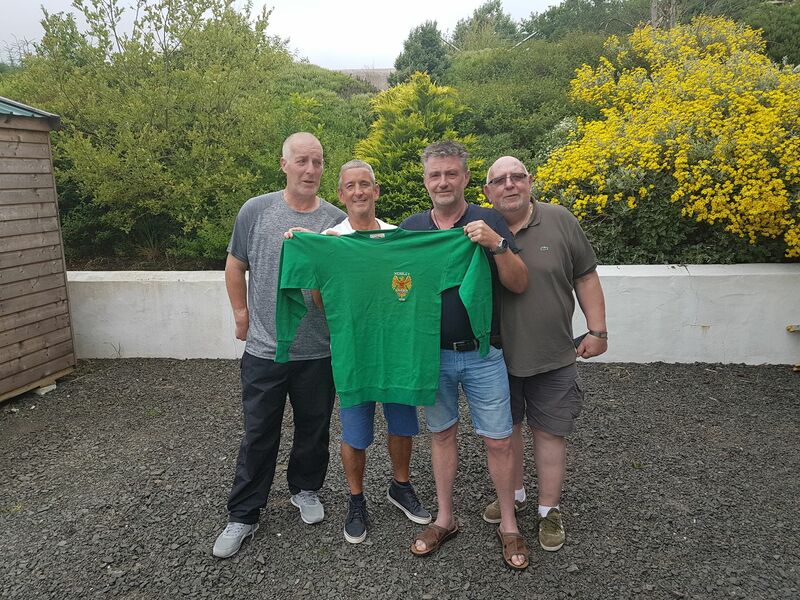 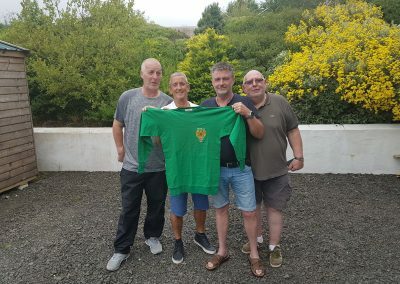 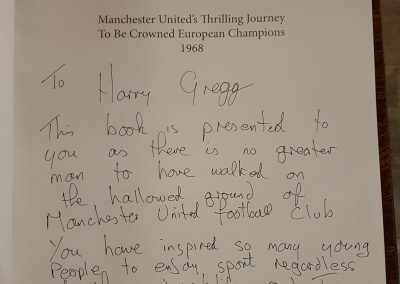 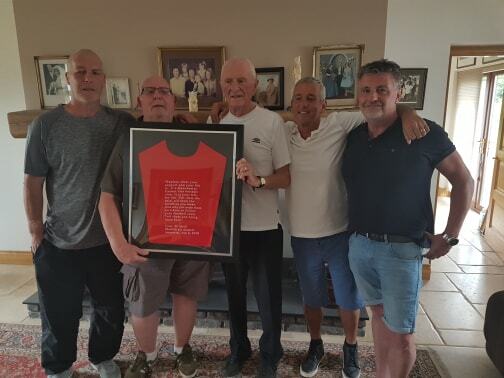 Harry was also presented with a framed T-shirt depicting part of Tony O’Neill’s 60th anniversary address in Trudering and Tony’s copy of “Malta to Wembley”. 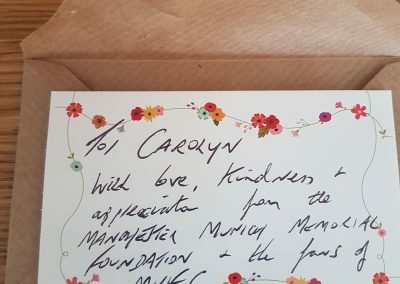 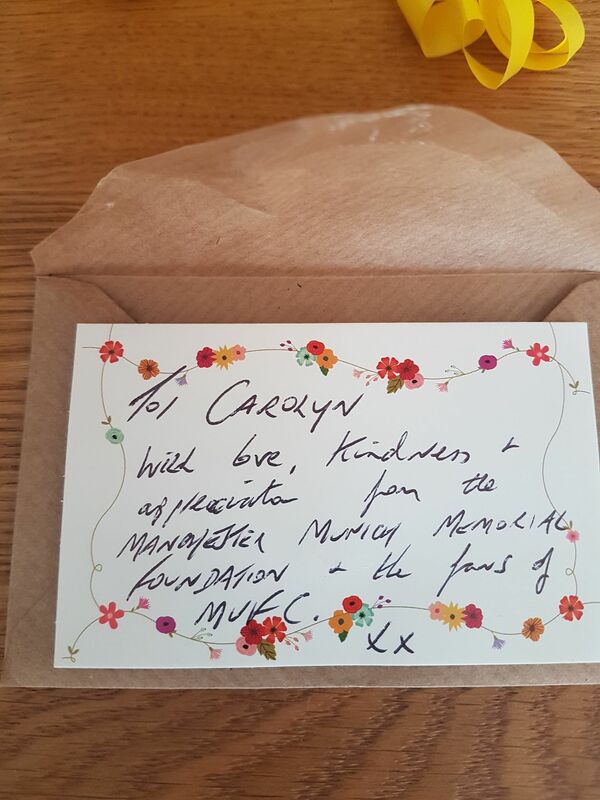 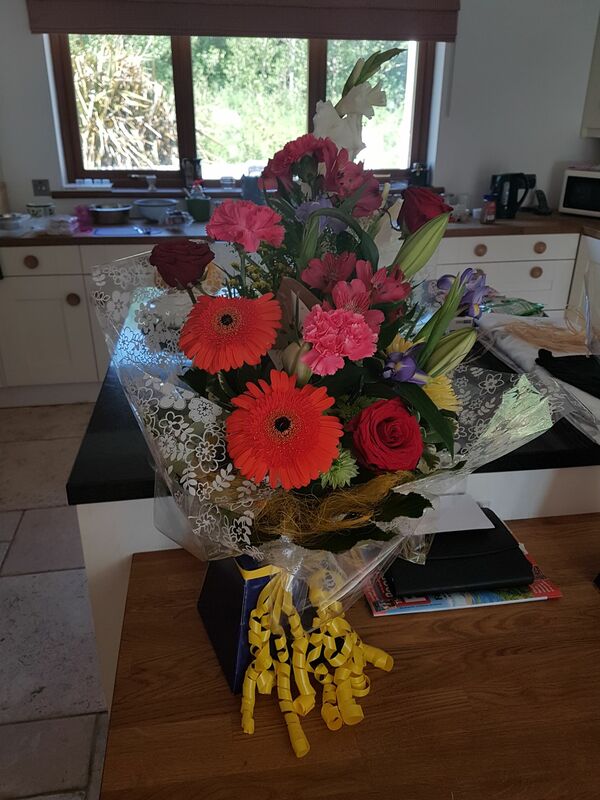 Harrys wife and daughter, Carolyn and Jane, were given bouquets of flowers from the MMMF on behalf of the fans. 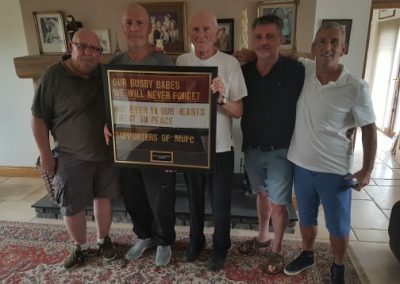 “I dont know what to say. 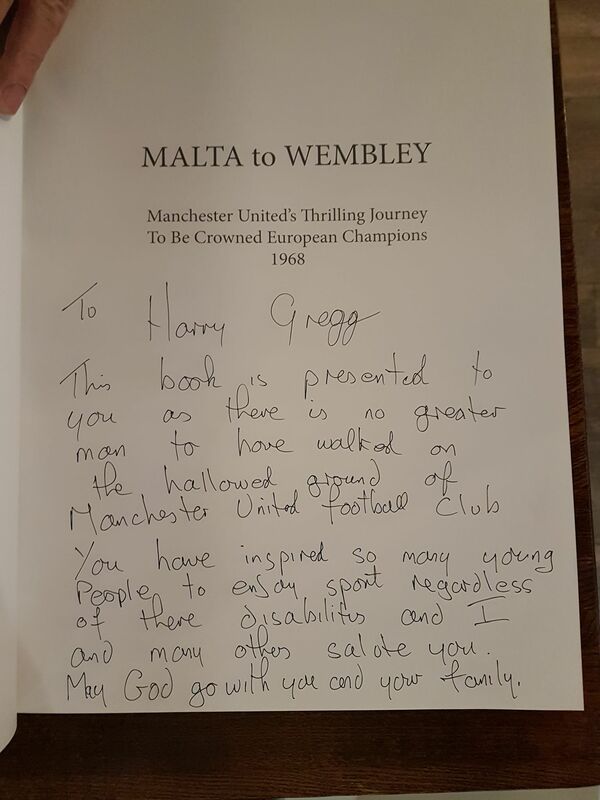 For once the great big mouth has nothing to say. 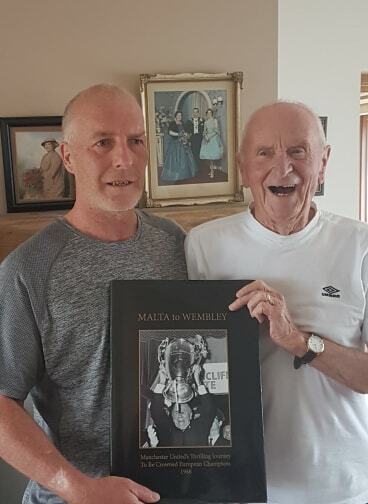 I can’t tell you how honoured and thankful I am that the fans have remembered this old man. 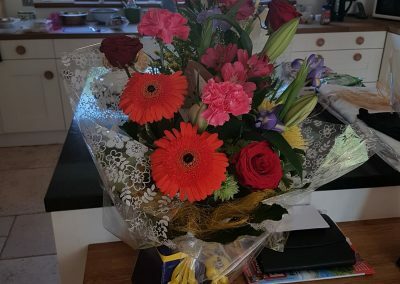 I am touched and really thankful”.